I set up an appointment with the same attorney that my parents used for my brothers adoption. He is a very well respected adoption attorney and I knew he was who we were going to use. We could go about our adoption two ways. 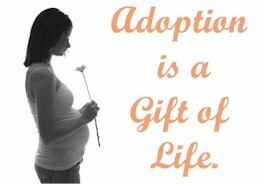 The first is to have our home study done by social services and have them process our adoption as well. The second is to have social services do our home study and have an attorney handle the rest of the adoption. I prefer to do the second option, so that is where we are. At our first meeting our attorney explained the process to us. At birth, our attorney will open our adoption with our local court. He will come to the hospital when our baby is born and went over the form with us that the birth mom will sign. He will also have a custody order which will allow us to take our baby home from the hospital. My main and all consuming question was: can they change their minds after signing? He explained that while yes, they can change their minds, they are required (in the State of Indiana) to provide proof to a court that it would be in the child's best interest to be returned to the birth parents. He went on to explain that they only have 30 days from the date they each sign to do so, and that in all the years he has been an adoption attorney he has never seen or heard of it happening. That helped my mind to rest easier. I made the mistake of saying "the baby that she is giving up" while we were talking (the birth mom always says it). He stopped me mid-sentence and asked me to change it to "the baby she is choosing to place into a loving environment" or something similar to that. It takes the negativity out of my statement. Never thought of that. We will have two in-home visits with social services after the baby is born just to make sure everything is working out well at home. When the baby is four months old, our attorney will prepare the proper paperwork to finalize our adoption. When our baby is six months old, our adoption will be finalized. Our adoption date should be sometime in August. I have spent most of my working years employed by attorneys, so while I am not an attorney myself, I understand what he told us. This part does not make me nervous at all. It is the unknown that is social services that scares me. Step three, whenever it comes, will be our home study. Get ready for that.